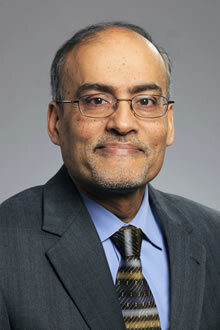 Arshed Quyyumi, MD, has been involved in clinical translational research in cardiovascular diseases for over 25 years. In 2001 he was appointed Professor of Medicine in the Division of Cardiology at Emory University School of Medicine. He serves as Co-Director of the Emory Clinical Cardiovascular Research Institute. Quyyumi's research focus includes vascular biology, angiogenesis, progenitor cell biology, mechanisms of myocardial ischemia, and the role of genetic and environmental risks on vascular disease. Other interests have spanned the fields of personalized medicine and disparities in cardiovascular diseases.